Since 2012, I have sold several heater delete sets for board members here. This was possible thanks to VAM cars not being required by the government to have the heater installed from the factory unlike AMCs in the US and Canada. Having the heater as standard equipment in its products was VAM’s own internal decision. 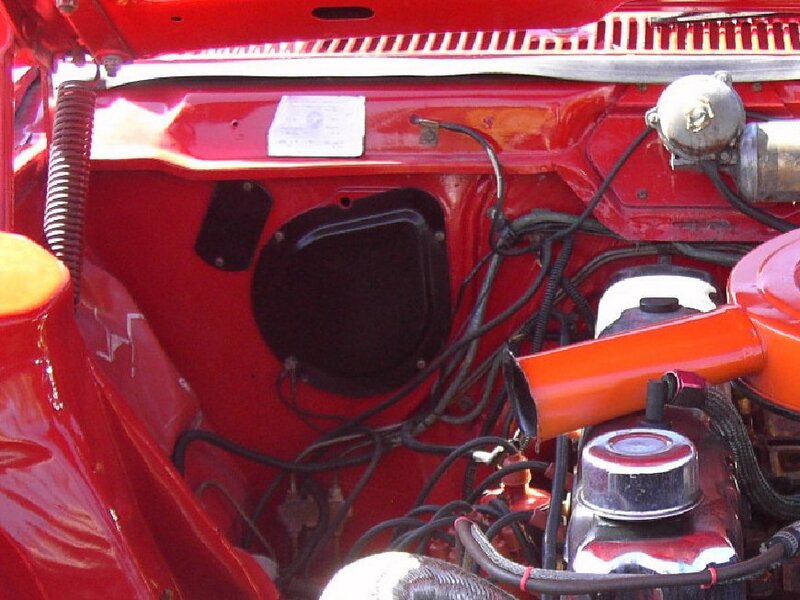 The first VAM car to have the heater as standard equipment was the 1969 VAM Javelin, the second being the 1972 Classic Brougham (Matador hardtop), the third being both VAM versions of the Matador coupe in 1974 (Classic AMX and Brougham). Since 1975, practically all VAM cars came with the heater as standard equipment; the only exceptions being the base 1975-1979 Americans (Hornets and Concords) with manual transmissions, the base 1975-1979 Gremlins (Gremlins and Spirit sedans) with manual transmissions and some Classic DPL (Matador sedan) units, mainly fleet ones. 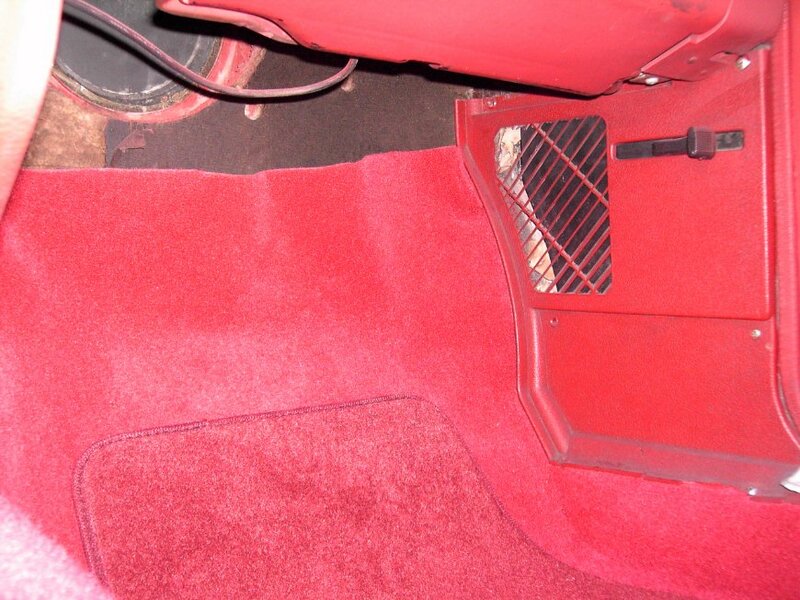 From 1980 onward these versions were also equipped with the heater, marking the end of heater-free VAM cars. Mostly Original 1968 VAM Javelin without heater. 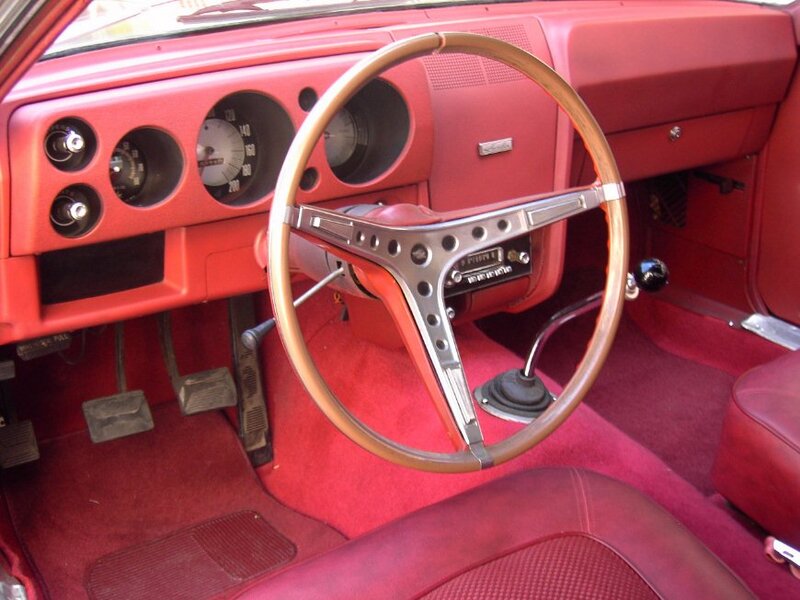 1968 VAM Javelin interior, notice the cancelled out heater controls hollow. Close up of the heater controls outer delete plate. Passenger’s side underdash and firewall picture, notice the missing heater and part of the fan motor block-off plate. Outer firewall picture with original fan motor and hoses delete plates. Other than the Hornets, Concords and to some extent the Gremlins, the rest of the heaterless VAM cars were produced in very small numbers (specially 1960s models). Also, regardless of the lists of factory standard and optional equipment in VAM cars there was another factor to take into account, VAM’s sales department, which determined most models to have some percentage of optional equipment installed from the factory trying to anticipate customer preference and at the same time, reducing and easing the processes of the company’s manufacturing department. In the base models’ case, this included the heater, thus reducing the amount of available units without it. In this forum I have been requested several times for one or more heater delete sets by different members, and some of them have taken me years to obtain due to how extremely hard to find they have become. 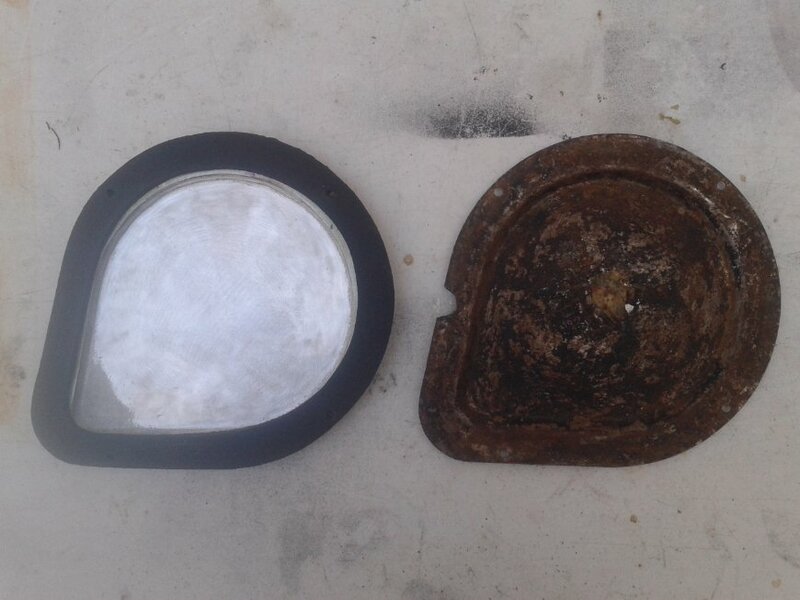 Finding a set is one thing, finding it in decent shape is another, since some parts like the cowl-ventilation-hollow delete plate has a high tendency to rust to pieces due to the accumulation of leaves and debris mixed with rainwater through the years. Also finding a complete set is another issue, since most of the cars I have found these sets from either no longer have a dashboard, long sold off or very damaged overall (under the Mexican sun), or the heater controls delete plate being cut-off in a way that can be described as vandalized, that so an aftermarket accessory can be installed in the hollow (like a radio or equalizer for example). 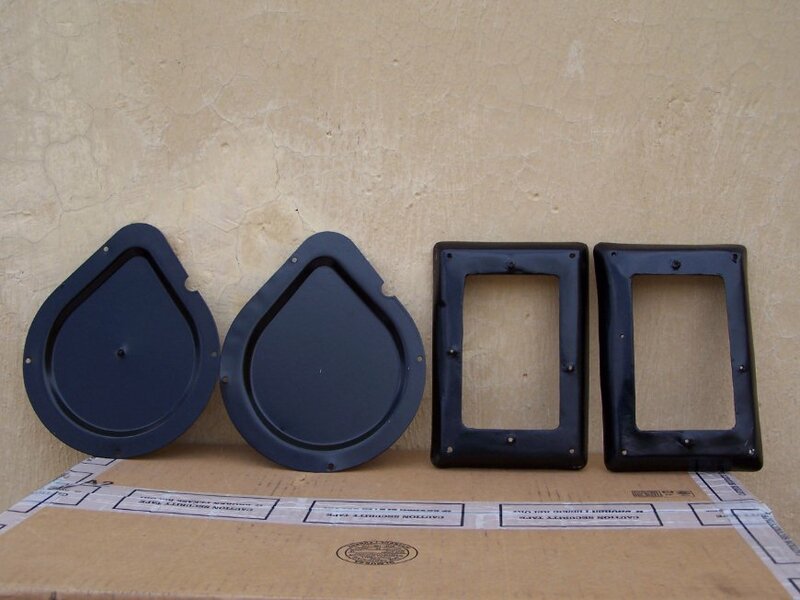 The heater hoses plate is frequently gone too as the hollow is used to pass cables through for a top-end sound system or second battery among other accessories. BEFORE: Fan motor and cowl plates in “junkyard” condition. Notice the rusted out cowl plate due to water and junk. 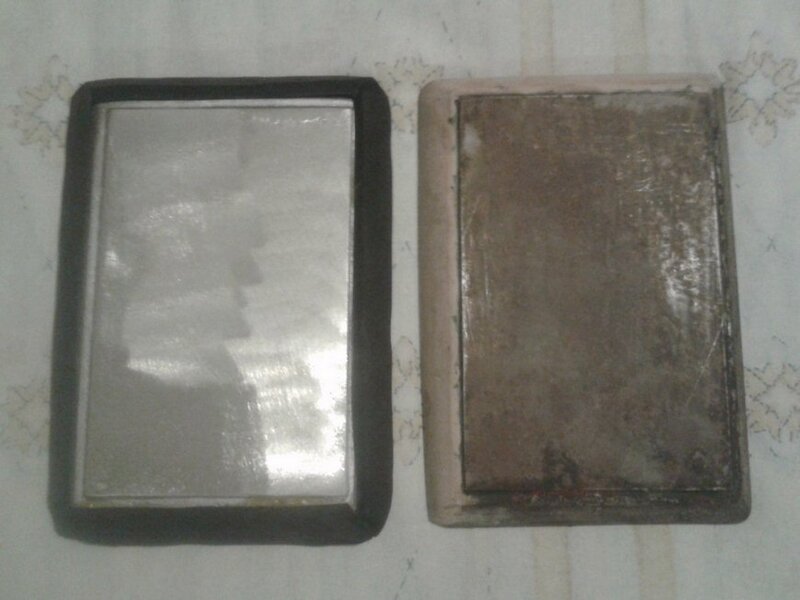 AFTER: All plates restored. The cowl plate in these two pictures is a Hornet/Gremlin unit that carries a flip-open vent in the rectangular hollow. The unit used in the Javelin/AMX/66-69 American models does not have the rectangular hollow, being totally smooth. 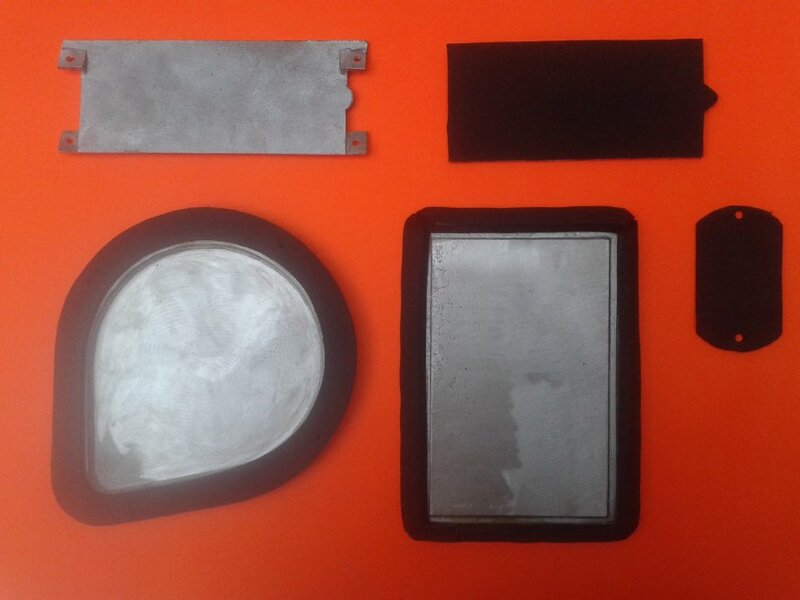 One final aspect to take into account is that all parts of the heater delete set (except the dashboard ones) from 1965 through 1978 were made of metal. 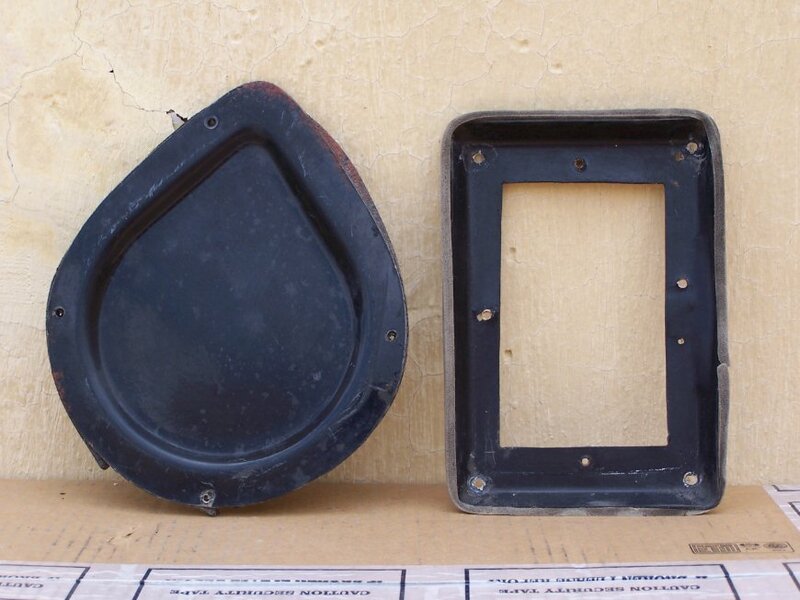 In the 1979 model year cowl plate and fan motor plate were no longer made of metal; both were changed into fiber-glass units. The heater core hoses one was still made of metal that year. The positive side of this is that the cowl one was no longer threatened by rust due to accumulation of dirt and water during rains. 1979 version, fiberglass instead of metal. And finally, after finding a set and finding the condition it’s in you also have to cope with the junkyard owner and the mood he’s in. Regardless if the part is decent or near-garbage, the guy in most cases charges a price as if the parts were gold, completely ignoring the condition of the part. Taking into account how scarcer and scarcer pre-1990 cars have become in Mexican junkyards, these guys know what they have and don’t let it go that easily. We’re no longer in the times in which people went to junkyards to find parts just for the regular car maintenance of their daily driver; they know we look for parts for either collector cars or project cars that are far from being daily drivers. If there is something I could contribute to the AMC hobby from my small trench all the way here south of the border, I would try as much as possible to have these heater delete sets reproduced and to most of the extent I have achieved it so far. As some members have seen, I announced some heater delete sets for 1968-1970 Javelins and AMXs and I really appreciate the response I got from everyone who left a message in the thread, sent me private message just asking for additional information or bought a full set in the end. Having those sets made wasn’t easy; the best way to go would be by using the originals as base or template. That creates the first problem; find a complete set in good or passable shape to use as base. If all you find is a set in damaged form you have to restore it before it can be used, investing additional time, money and materials. Now here goes the second problem. The only parts I could get a hold of after looking for some time were the cowl plate, the hoses plate and fan motor plate. As for the dashboard controls plate, which consists of two different parts, I just couldn’t find it anywhere. Only the 1968 VAM Javelin had it, heater in place of it on the 1969 and 1970 models. In the end, after finding zero success in buying one from junkyards, I had to draw upon BORROWING one from a private car to complete the would-be set. That creates the third problem. Ask a car collector for a part from his/her car to make a replica out of it. The logical and immediate reaction is this: He’s going to remove and take away a part from my car; that creates risk of loss or robbery. If that happens I’m stuck dead, where am I going to get that part from??? More than once I got less than friendly responses from private car owners when I made them the request, and that includes VAMer friends whom I already have their trust. I had to be as sincere and convincing as possible to have them allow me to take the part with me. This takes time and effort that is not as easy as it sounds, taking this path creates a responsibility you have to cope with. No matter how honorable you are, unexpected things can happen. If the part(s) gets lost or damaged beyond repair, HOW do you respond to the owner? How do you provide a replacement? You can even end up with legal action against you for such a case. In the end, I after the negotiation, I was able to have the two dashboard parts borrowed to me. In some cases I had to look for these loaners from other cities since I couldn’t locate a private car that had them in my area or an owner willing to loan them. Some owners wouldn’t borrow the parts to me even after I offered them money as guarantee of return. 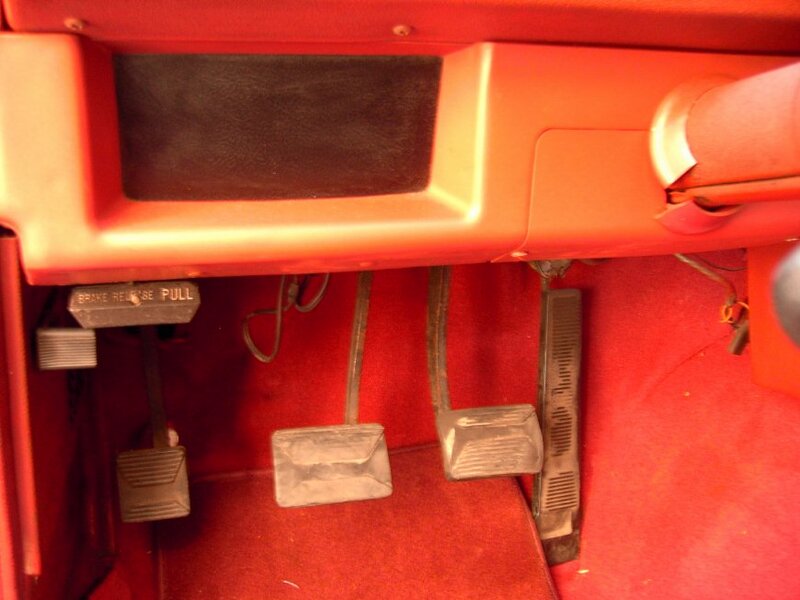 1968-1970 Javelin dashboard heater controls plates, front and rear, BUTCHERED due to the need to find a space to put a button for either the horn or the starter in the car they belong to. After finally having a sample of a complete set what followed was how to have them replicated with the same appearance as the originals and with the same quality as the originals, or at least the closest to that as possible. The “easiest” part was the heater core hoses plate thanks to the fact that it is flat. I could have it made by laser-cutting steel sheetmetal with the same shape. Unfortunately, I don’t have the equipment to do it, which meant I had to look for a person who had it and one that worked well and charged the most reasonable price possible. 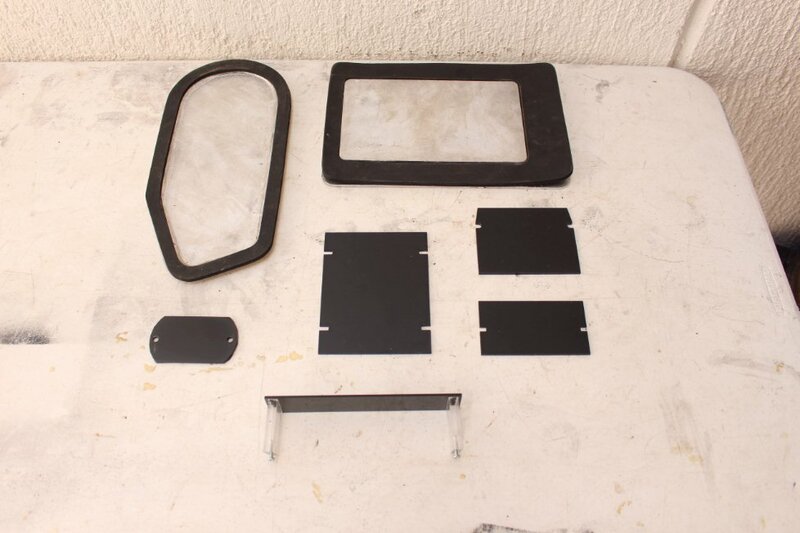 The hard parts to replicate were one of the dashboard plates, the cowl plate and the fan motor plate, mainly due to their indentations and angles. Since I couldn’t have them made of steel I decided to go for poured aluminum and have them made in a single piece without the need for sticking or welding anything. At first I was attempting this at home by my own means, but I was quite dissatisfied with the results aside from all the problems that arose. I decided to go for an expert on the matter and didn’t obtain a lot of options available; I was able to locate a craftsman to help me and negotiated the most reasonable price possible. In the end I was finally able to have the three parts replicated, yet the choice of material created an additional problem. 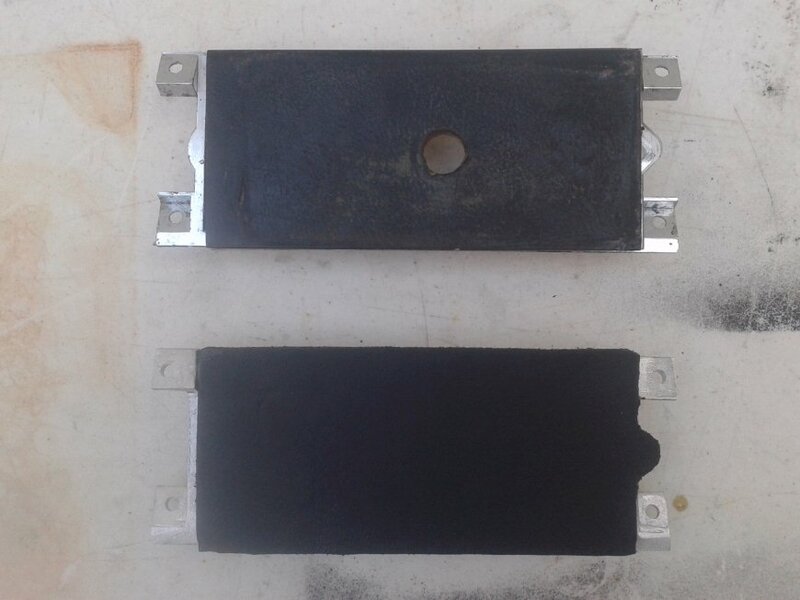 Paint does not adhere to aluminum and both original firewall plates are blacked-out units. The heater core hoses plate is no problem since it’s made from steel. 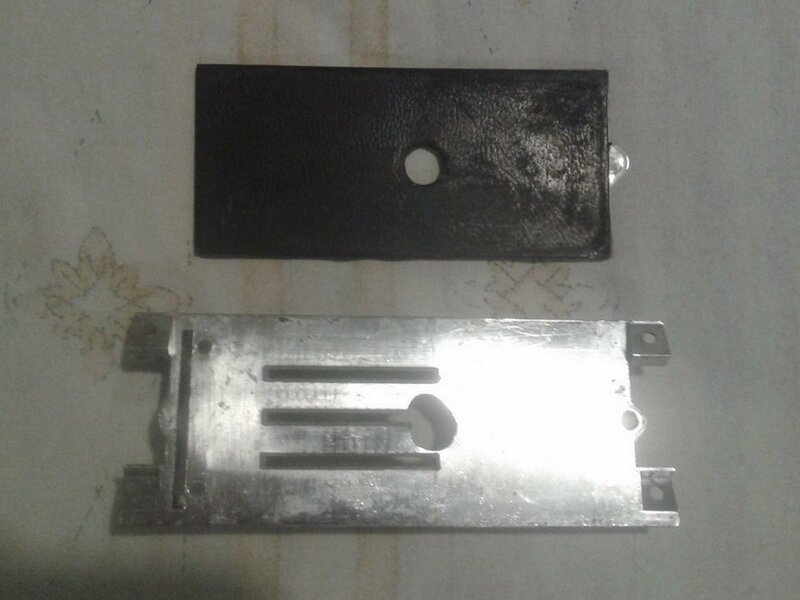 The fan motor plate on the other hand was aluminum, to solve the issue I had to buy a special form of internal layer treatment called “primer seal” that does adhere to aluminum. The problem here is that it is lot more expensive than regular primer (also requires an additive) and unfortunately I don’t have an air compressor with spraying pistol to apply it. I had to take the fan motor plates to a body shop in my area to have the primer seal applied on them with the additional cost that represented. Once that was ready, I could finally paint them black myself at home. The final part was the external dashboard heater controls plate, which is made from plastic. I was able to reproduce it by laser-cutting the same shape in acrylic after having the design made in a program. The external face of the original unit was applied with a very thin metal layer coated with black texturized vinyl. I replaced this by applying black leather in the reproduction. 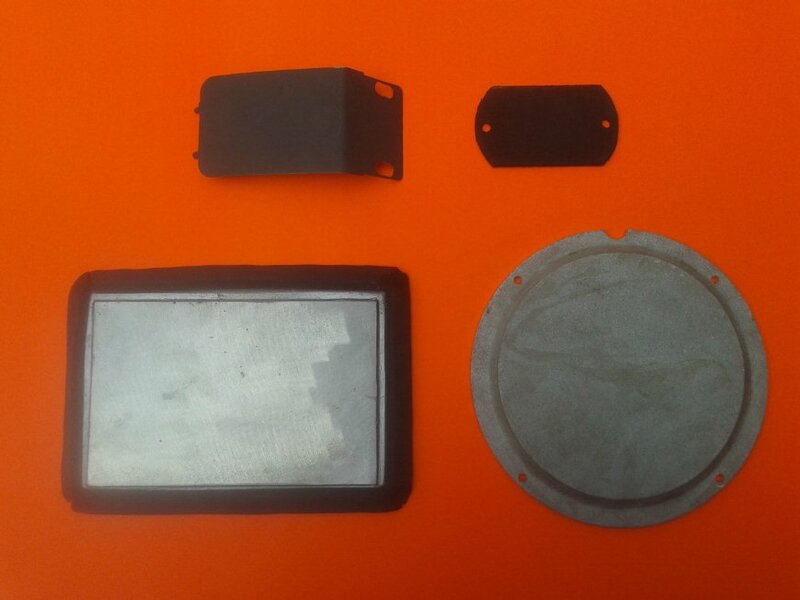 For sound insulation purposes I used black foam applied over the internal face on the part, which is in contact with the inner aluminum plate. After all this, the last thing to do was to make gaskets from the parts that required them. After all those processes the full reproduction heater delete set was ready for 1968 through 1970 Javelins and AMXs. The positive side on these parts being reproductions is that they are brand-new, all of the originals I’ve sold here were in used junkyard condition and had to be repainted/restored. I have already made these processes for creating heater delete sets for several other AMC models. 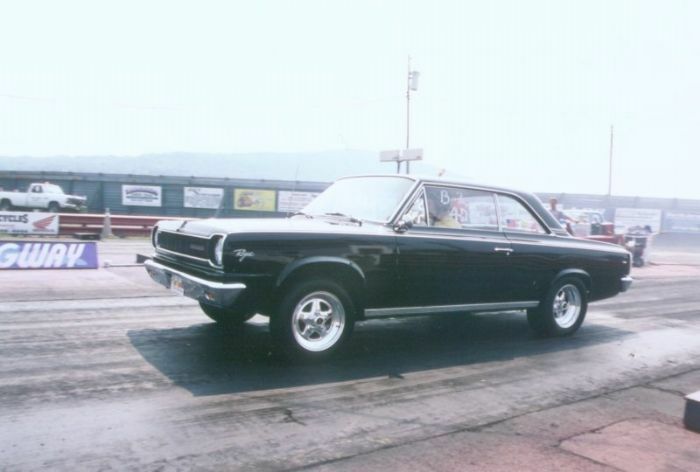 1.- 1966-1969 Rambler American: cowl, fan motor, hoses and dashboard controls. Four parts in total. 2.- 1967-1970 Rebel (probably applies to 67-70 Ambassador and 1967 Marlin too): cowl, fan motor, hoses and dashboard (controls, clock, radio, in-instrument cluster air vent). Seven parts in total. 3.- 1968-1970 Javelin and AMX: cowl, fan motor, hoses and dashboard (internal and external controls plates). Five parts in total. 4.- 1970-1977 Hornet and Gremlin: cowl, fan motor, hoses and dashboard (single piece for controls and central dashboard air vents). Four parts in total. 5.- 1971-1973 Matador: (probably applies to 71-73 Ambassador too): cowl, fan motor, hoses and dashboard (controls, clock, radio, in-instrument cluster air vent). Seven parts in total. 6.- 1971-1974 Javelin and AMX: cowl, fan motor, hoses and dashboard (internal and external controls plates). Five parts in total. 7.- 1974-1978 Matador (probably applies to 1974 Ambassador too): cowl, fan motor, hoses and dashboard controls. Four parts in total. 8.- 1978-1988 Concord, Spirit and Eagle (also applies to 1978 Gremlin): cowl, fan motor, hoses and dashboard controls. Four parts in total. 1966-1969 Rambler American full heater delete set. 1970-1977 Hornet and Gremlin full heater delete set. 1967-1973 Rebel and Matador full heater delete set (probably applicable to 67-73 Ambassador and 1967 Marlin). 1974-1978 Matador full heater delete set (probably applicable to 1974 Ambassador). 1971-1971 Javelin and AMX full heater delete set. Right now I’m trying to borrow parts for a possible heater delete set for 1964-1965 Rambler Americans and 1965-1966 Rambler Classics (which probably can be shared with 1965-1966 Marlins). As of now I don’t know if I might make a heater delete set for Pacer models. Like I said, I really appreciate all the feedback I’ve received from the board in regards to this reproduction effort. However, I also reproduced five heater delete sets for 1971-1974 Javelins and AMXs and didn’t have a single response about them. No questions through private message, no posts on the topic, nothing. Making these sets is an investment, and I cannot make an investment if there are not going to be any takers. What I mentioned above in 1968-1970 sets was not the end of the story. These parts didn’t come out in the first run, any potential defect had to be taken into account and corrected. I had to make several “prototypes” before what we can call a final correct version came. Obviously, I had to put money in each and every one of those prototypes to achieve the goal, knowing that’s something I won’t get back. The laser-cut parts are to be made with design programs such as CorelDraw and SolidWorks, which I don’t know how to use. To have the design made for each part is extra-cost that I have to pay to the designer. 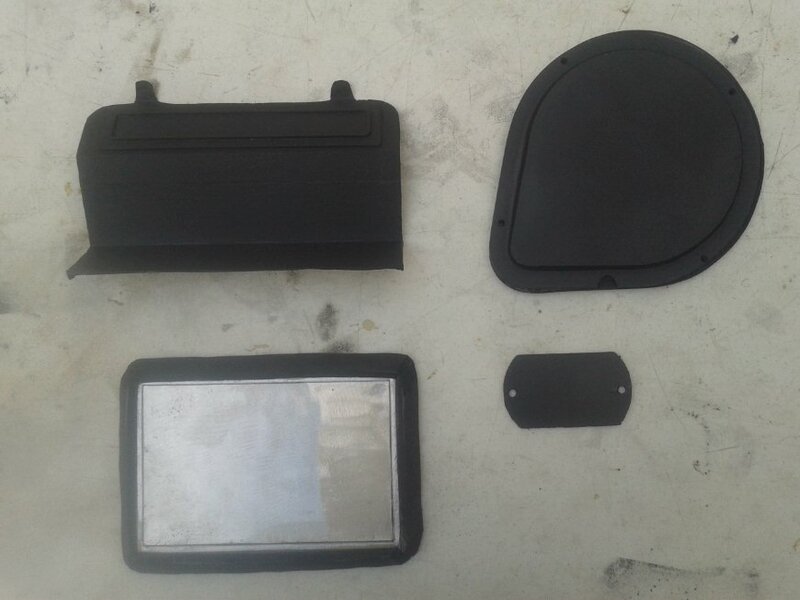 The dashboard parts that could not be made from acrylic, such as the Hornet controls/vents had to make out of fiberglass, I considered 3D printing but in the end it turned out to be way too expensive. From the beginning to the end I also had to invest in gasoline due to the trips to the different workshops of the people that are helping me with this to check progress and any possible updates, plus the phone calls and making time available in my daily schedule for the same purposes. To find these people also took time and a lot of door-knocking, to find the best quality and price. To have the parts produced I have to provide my helpers with the materials for them, which also comes out of my pocket. Also, they demand from me a minimum volume of parts to be made for my requests to proceed. Once the sets are complete I have to move on to packaging if they are to be delivered through a shipping service. Everything has to be taken into account. Some have told me the price may seem expensive, 135 dollars in average for most full sets in the list, which means an average of between 33 and 27 dollars per single part. The price is based on everything I’ve mentioned in this post. I am trying my best to lower the price further; right now I am negotiating with my helpers for a better deal or in the final case find other one(s) that charge(s) less with the same results. These are not single parts; they are multiple-part full sets. I cannot take the effort/time of doing this if I am going to lose money in the end, which I could be putting in the restoration of my car. The fastest and safest way to reduce the price would be by ordering multiple sets of parts in a single run. If anyone has interest in buying a set for any of the models I listed above please let me know so I can make a list of people to reach a minimum amount for each line to have them produced all in a single run. If anyone is interested in any of the sets mentioned above please let me know. Also, I would appreciate if you know people outside the forum who might be interested in them please spread the word. This last request goes for the people that have offered me help with this project, which I am totally thankful for. Right now, I have the chance to make these reproductions and I don’t know for how long I’ll be able to. I have tried this for some years without any luck, now I am finally able to materialize this goal. Of the full sets you see in the pictures above (except 1968-1974 Javelin/AMX and 1970-1977 Hornet/Gremlin), they are only testing parts for the lines I mentioned. I do not have any full sets made for those lines at this moment, but now I can have them made anytime. Sorry for the considerable length of this post, but I wanted to be as clear as possible in regards to this project. Thanks to everyone for your time and attention. If you have any questions please post them here or via private message. Just like I appreciate the feedback I’ve received from board members supporting this, I also appreciate the people here offering me help. One help I could really use is for board members to sell to me some radio delete plates. Several members that have bought heater delete sets from me have also asked for this part but I have never been able to deliver this request. Here is the exact opposite case between VAM cars and AMCs. 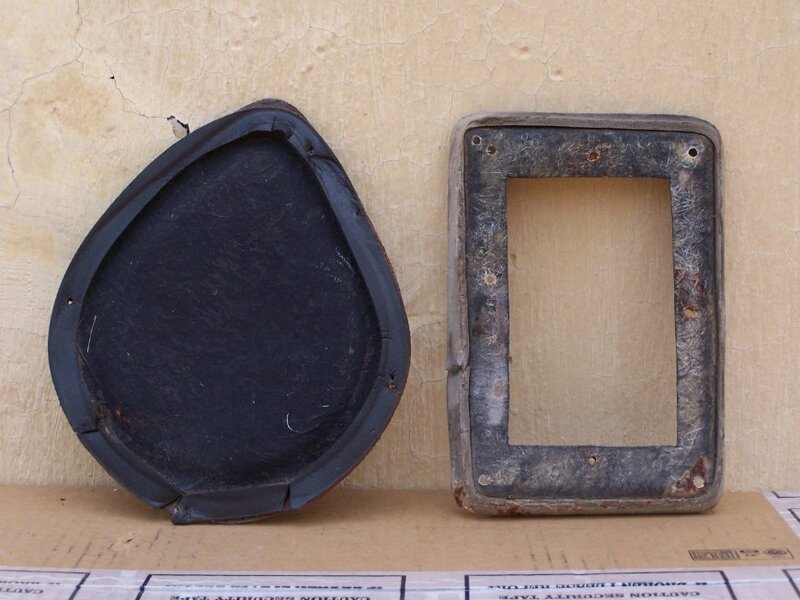 Unlike in the United States, every single Mexican car had a radio installed from the factory, so the radio delete plates never existed here. 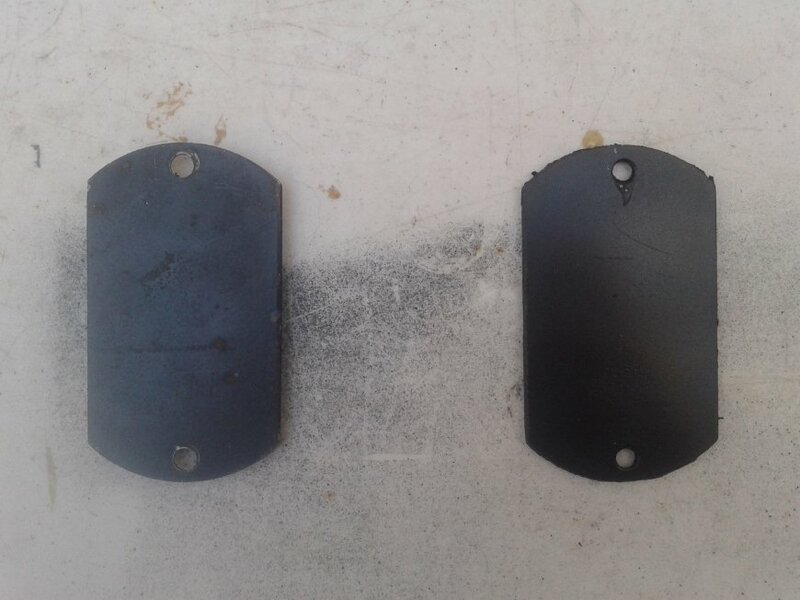 The only radio delete plate I was able to make without a base/template was the one for 1967-1970 Rebels and 1971-1973 Matadors. To have them reproduced I would need one for 66-69 Rambler Americans, on for 68-70 Javelins/AMXs, one for Hornets/Gremlins, one for 71-74 Javelins/AMXs, one for 74-78 Matadors, and one for Concord/Spirit/Eagle models. I have also been requested once for a dashboard part as part of the full that I have never seen in my life. 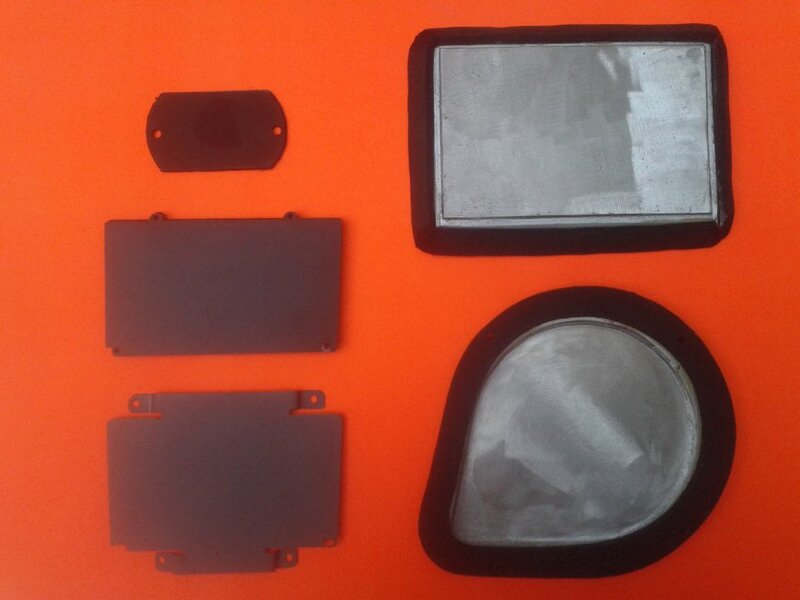 If I am not wrong, it is a block-off plate for the two windshield defroster ducts on the top center rear of the dashboard. Is this correct? If such a part exists it was never used in VAM cars, if it exists please share a picture of it here in this thread. 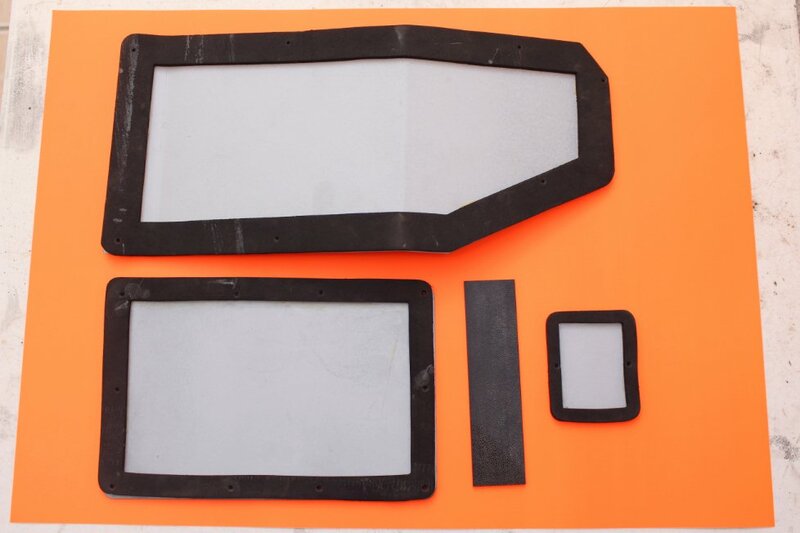 What I doubt I will be able to reproduce would be block-off plates for the central and passengers’ side dashboard air vents for cars originally equipped with the Air Conditioning system, because I have been requested those too. You can block off those with original dashboard parts from a non-A/C car. I can block off one Rebel vent (instrument cluster one) and the Hornet ones with the parts I have. 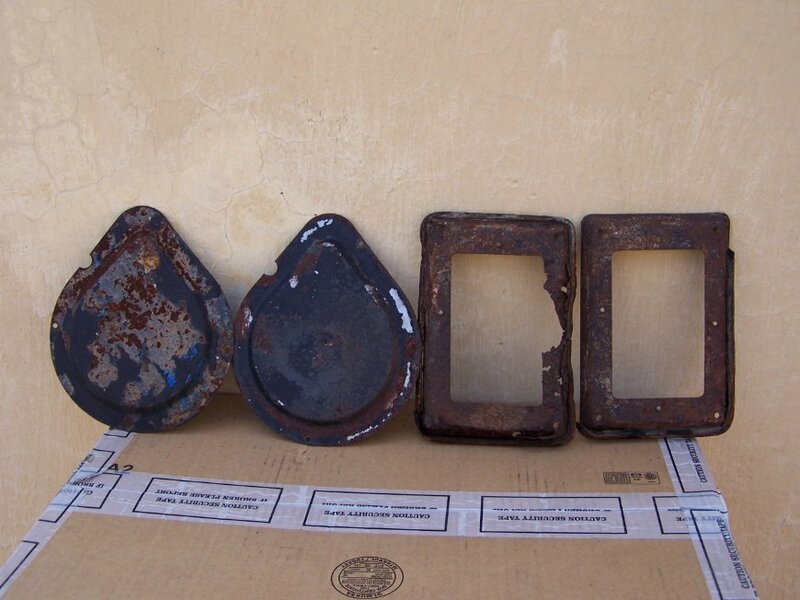 Do you still have any of the heater delete plate sets for the American ? Right now I only have sets for 1971-1974 Javelins/AMXs, 1968-1970 Javelins/AMXs and 1970-1977 Hornets/Gremlins. As for the 1966-1969 Rambler American, I only have the prototypes with me right now. 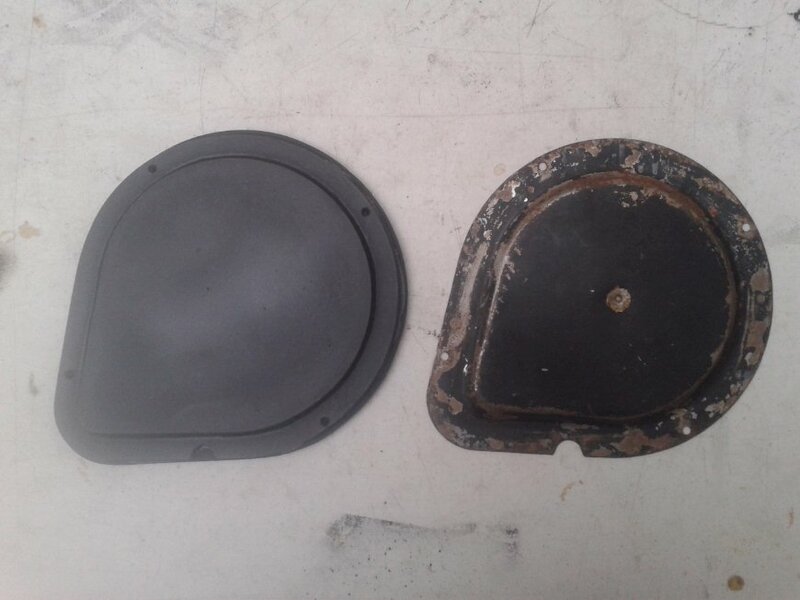 I was not satisfied with the results of the round fan motor plate so I redesigned the template and I'm in the process of making another prototype to check results. The heater hoses plate and the cowl hollow plate are ok, that's a certainty. What I'm still correcting is the dashboard controls plate. Do you want me to let you know when I have sets ready of this model? That ¡s correct, I already sent a response. For a 70 AMX thank you. Once again, I appreciate the interest and support I've had from all board members who have asked questions on these parts or ordered any set available. I want to let everyone know that there is a high chance that next year I will be moving to a different city for employment reasons. That is Mérida, capital of Yucatán. This means I don't know if I will be able to continue making these AMC reproduction parts. I will try to continue with the project but I cannot guarantee anything. The positive side of this is that it will give me a chance to help found another VAM club in another part of my country. Regardless of what happens in the future, if anyone wants to draw upon these parts still beng available at the moment you can do it. 1968-1970 Javelin and AMX - Five parts - 126 dollars. 1971-1974 Javelin and AMX - Five parts - 126 dollars. 1978-1988 Concord, Spirit and Eagle - Four parts - 115 dollars. 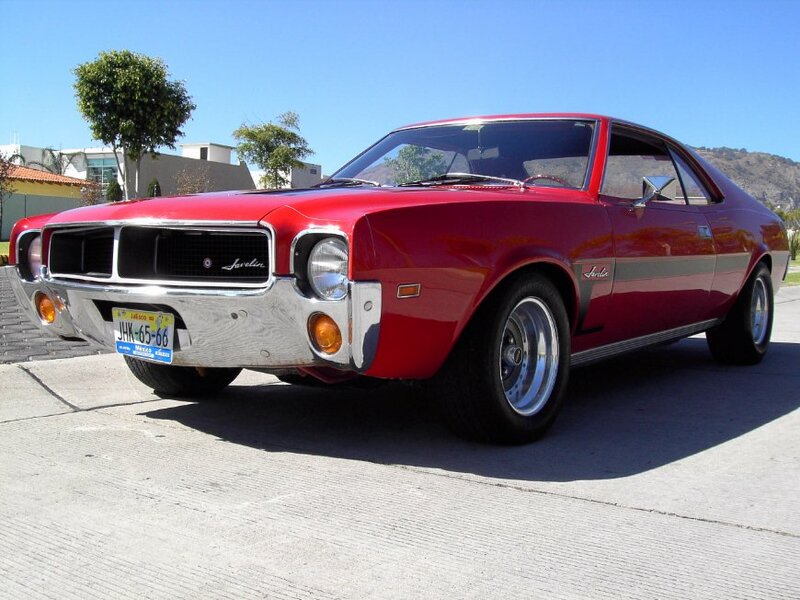 1977-1980 AMX - Four parts - 115 dollars. 1971-1974 Javelin and AMX heater delete sets Sold Out.